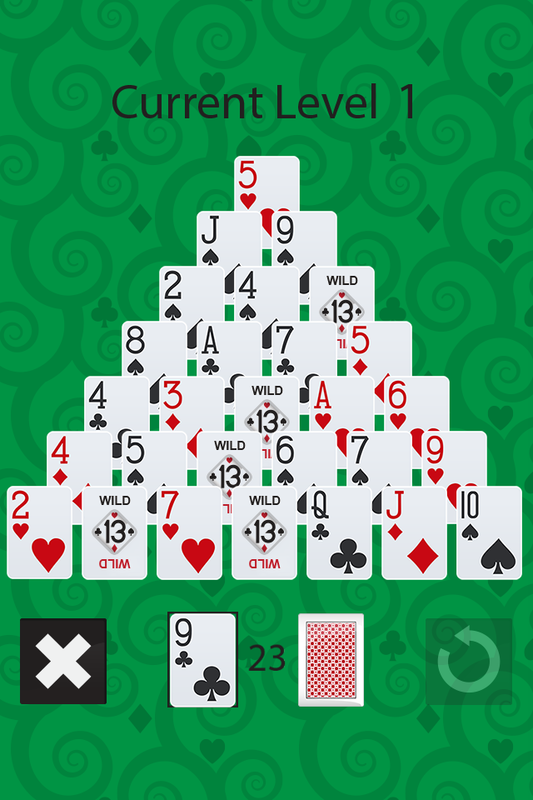 The ad supported version of the classic game of Solitaire 13 (also known as Pyramid Solitaire) featuring Game Center integration (iOS) and graphics/sounds optimized for both the latest devices. 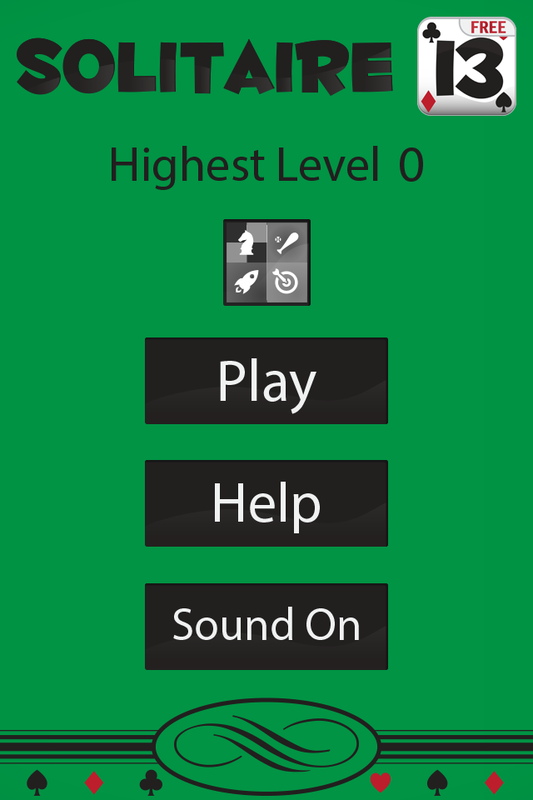 If you love solitaire this game will challenge you with a mix of skill and luck. Wild Cards help you out of rough situations and face up board cards let you plan ahead for your next move. of the cards which form the pyramid. Cards can be removed if they are free; meaning no other cards on the board overlap them. You must also pair them with another card that together total 13. Wilds can pair with any card. Kings are always equal to 13 and can be cleared at any time. Queens are worth 12 and Jacks are worth 11. The game ends when you have no more Kings, Wilds or cards that together total 13.